'Zappa The Hard Way' is the story of Frank Zappa's last ever world tour that ended in mutiny. In 1988 Frank Zappa toured with a twelve-piece band that had rehearsed for months, learned a repertoire of over 100 songs and played an entirely different set each night. It is why, in Zappa's own words, it was "e;the best band you never heard in your life"e; - a reference to East Coast American audiences who never got the chance to see this particular touring ensemble. Zappa appointed bass player Scott Thunes to rehearse the group in his absence. In carrying out this role, Thunes was apparently abrasive, blunt and rude to the other members and two factions quickly developed: Thunes and stunt guitarist Mike Keneally on the one side; the remaining nine band members on the other. The atmosphere deteriorated as the tour progressed through America and on to Europe. Before leaving Europe, Zappa told the band that there were ten more weeks of concerts booked in the USA and asked them: "e;If Scott's in the band, will you do the tour? "e; With the exception of Keneally, they all said "e;no"e;. Rather than replace Thunes, Zappa cancelled almost three months of concerts and never toured again - claiming to have lost $400,000 in the process. 'Zappa The Hard Way' documents that tour. If you think touring can be fun, think again! Yes there were groupies and the usual paraphernalia associated with rock 'n' roll, but there was also bitterness and skulduggery on a scale that no one could imagine. 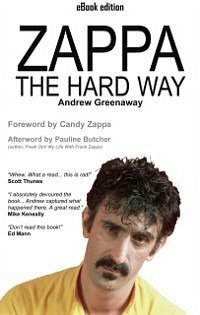 Author Andrew Greenaway has interviewed the surviving band members and others associated with the tour to unravel the goings on behind the scenes that drove Zappa to call a halt to proceedings, despite the huge personal financial losses. This paperback edition includes a foreword by Zappa's sister Candy, and an afterword by Pauline Butcher, Zappa's former secretary and author of 'Freak Out! 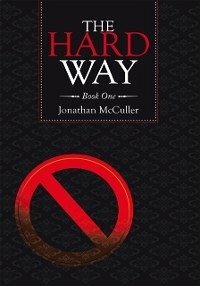 My Life With Frank Zappa', 'Zappa The Hard Way' might just be the best book you've never read in your life!